Palpable, in a word, is how I would describe @jenhaught's picture and this week's "Twitpic of the week". 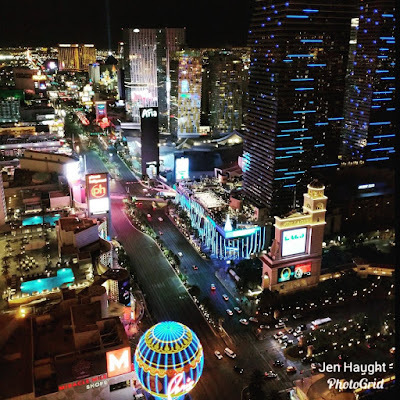 The view of the strip, south of Paris, at night, taken from the Eiffel Tower experience is so intense it's almost tangible, also known as the actual definition of the word Palpable. One of the most interesting effects views like this and ones available at the Mandarin Oriental or the High Roller is, while they are stunningly beautiful, they also create an intense desire to abandon said view and become a part of it. It reminds one of the philosophy that there are two kinds of people in the world, Astronomers and Astronauts. Astronomers observe and enjoy space from a distance, in the safety of familiar surroundings; while an Astronaut ventures into the vast unknown to experience it. 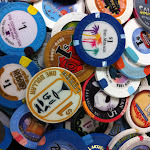 I get the impression the majority of people who love Las Vegas are the latter, even if only in Las Vegas. It's the kind of picture that makes you stop and look closer the moment you see it; bold moments in Vegas not-so-long-ago history. MGM Grand's original entrance, on the corner of Las Vegas Blvd and Tropicana, was a giant golden lion meant to serve not only as the properties marquee but as a cubist representation of the studios mascot. 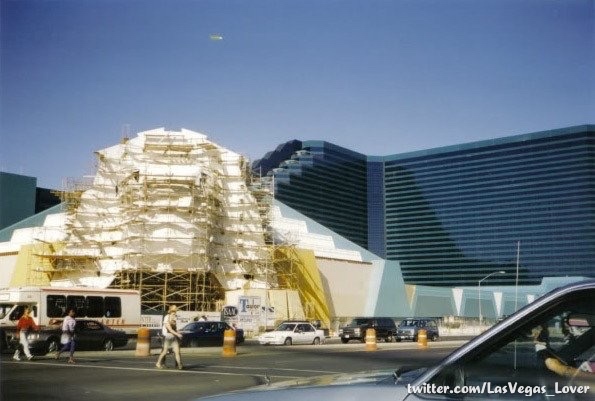 Captured here by @LasVegas_Lovers under construction, perhaps it's with the benefit of hind sight that one can't help but look at this picture and ask "what were they thinking?" "How did they not know walking under a lion would put off Asian gamblers?" Once you remember the entire project was meant to attract families to the property, the concept comes into focus. It also reminds us that once there was a world where you couldn't simply Google "Asian Gambling Superstitions" and find all the reasons why this marquee would only exist for 3 years. Regardless, fortune favors the bold and photography documents it for all to relive and learn from.